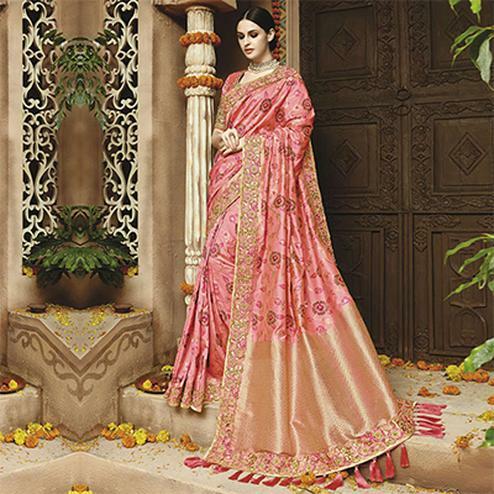 Jacquard sarees are another breakthrough in the world of fashion. 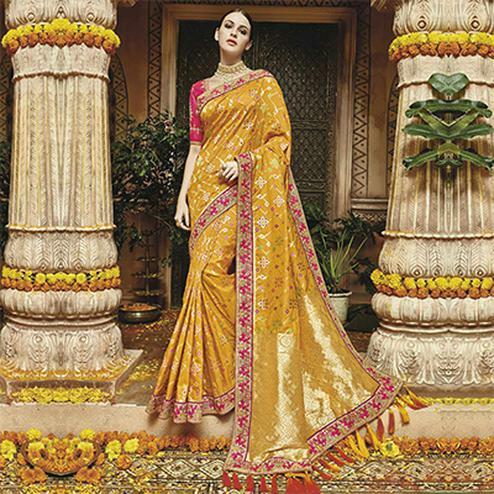 In this particular type of saree the designs are directly weaved into the material instead of being embroidered. This characteristic of the material has made it more popular amongst Indian women. 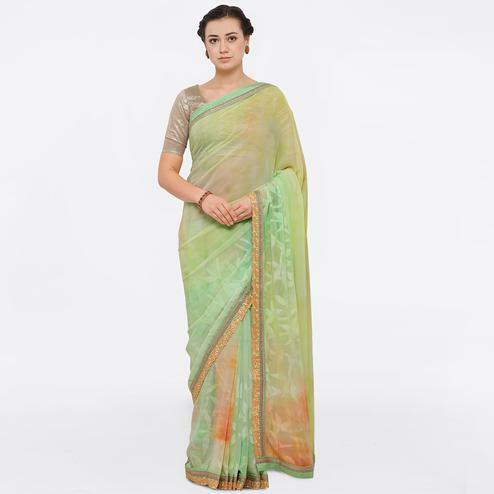 These sarees never fail to show fresh designs every coming new season. 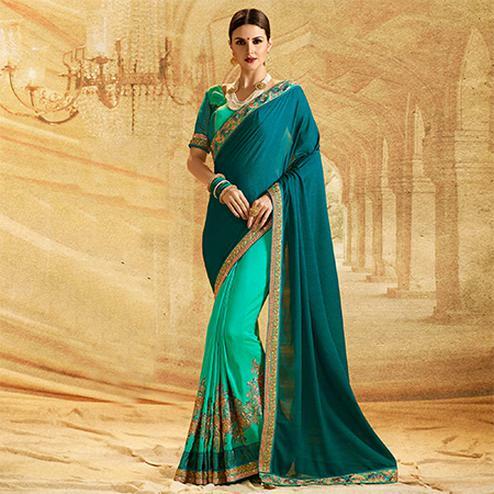 Ladies love to wear these designer sarees during festive seasons. 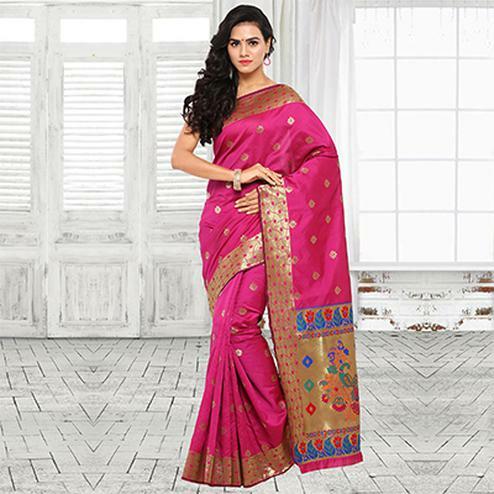 So pump up your plastic money and get on board with us to shop the latest saree designs. Jacquard loom named after its inventor, Joseph Marie Jacquard in 1804 changed the whole scenario of jacquard fabric, which was first weaved by a method called draw-loom. This old method could only weave few simple designs and was controlled by punch-cards, used to create patterns and designs. Due to its lose mechanics the punching process was repeated several times to create the final fabric. With the invention of this electronic loom the repetitive process of weaving the fabric again and again was eliminated. Thus, led to significant progress in production, time and quality. Today, the fabric is woven through a computerized process that makes complex and alluring designs. 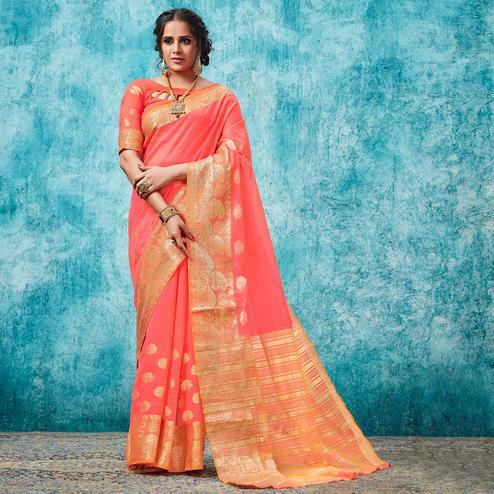 You can now buy these charming jacquard designer sarees online at Peachmode. 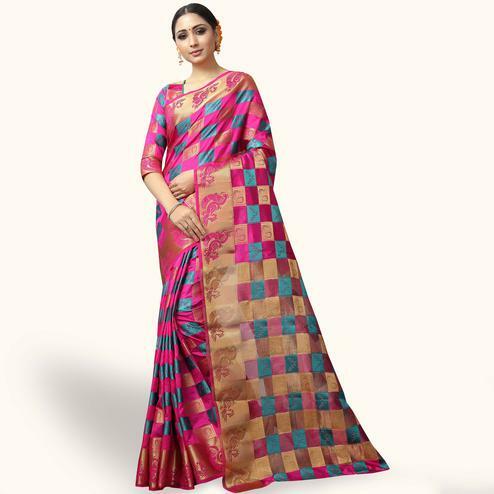 Jacquard sarees are mostly worn during weddings and other grand events but at Peachmode we do not just stop at that, our designers regularly come up with new designs and with that said you can now wear these sarees as daily wear also. 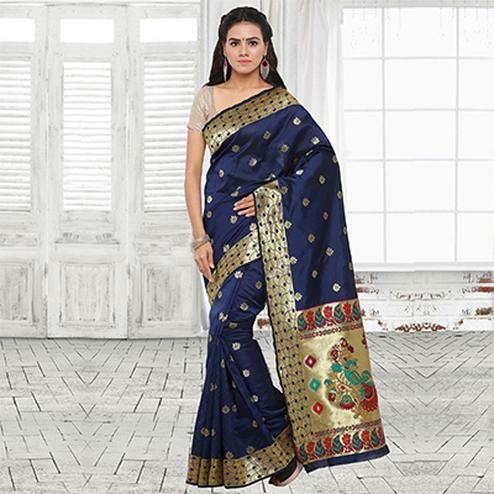 All courtesy of our experts that now you can also find stylish plain jacquard sarees for your daily routine. This ladies designer saree come with maintenance instructions so do not forget to check them out. Go ahead and check out our mesmerizing collection of Jacquard sarees, lehengas and other western outfit and get amazed with the creativity. 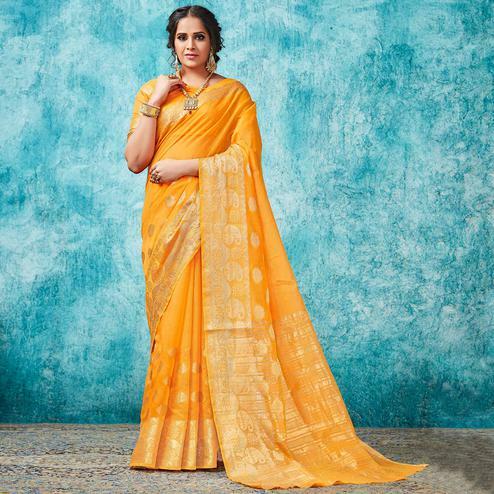 Emotionally if you are pumped up for your sister's wedding you don't have anything to wear go with these beautiful jacquard sarees and if you don’t know how to style it then allow us to help you with that. 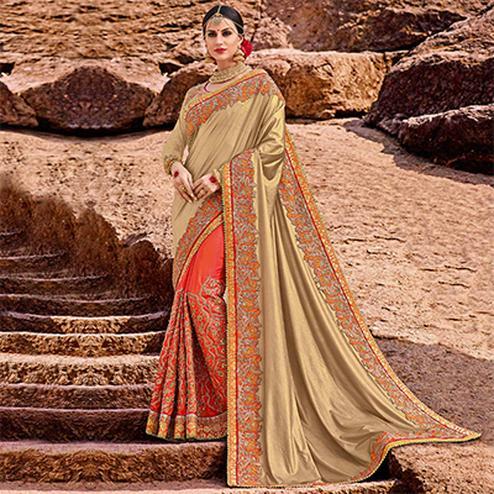 A chic cherry red art silk jacquard saree with golden embroidered blouse piece and antique gold jewellery to go with it will give you an authentic look. 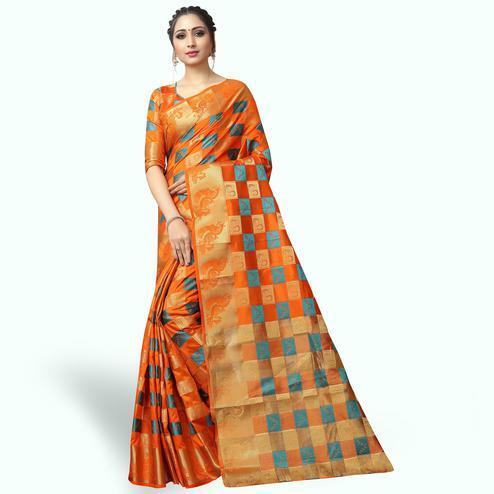 If you are looking something for the reception party than wear an orange and teal green dual tone saree with a golden zari borders on pallu and a heavy high neck and sleeveless blouse, a big chand bali with this attire will give you the look of your dreams. Don’t get carried away, try it yourself and let us know.